Books like Mingus Speaks come around once in a lifetime, and Music editor Mary Francis’s enthusiasm for the project is palpable. 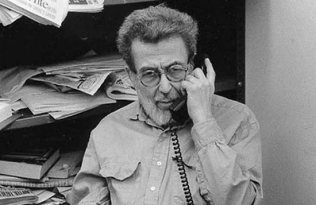 That’s why we asked her to introduce this episode of the UC Press Podcast, a discussion with writer and former music critic John Goodman, complete with music and archival clips from Mingus’s interviews. Take it away, Mary! When I first encountered John Goodman’s interviews with Charles Mingus I could hardly believe my luck. Detailed reflections from one of the great jazz composers and performers don’t surface every day, much less in-depth interviews that hadn’t been in the public eye. Not all artists are articulate, or even willing to talk much about their work. But I had a hunch that Mingus in his own words would be something special. The interviews don’t disappoint. In his podcast, Goodman calls Mingus, “an incredible talker,” and that’s an understatement. Mingus’ voice, individual and idiosyncratic from the first quote (“Don’t take me for no avant-garde, ready-born doctor.”), reaches off the page to grab your attention. Reading his words it is easy to imagine how absorbing it must have been to sit at a bar, sipping Pernod and soda and listening to him discourse. Mingus was as nimble and inventive a raconteur as he was as a performer and composer. Goodman’s questions don’t just receive answers: they inspire passionate, detailed anecdotes, counterproposals, Socratic volleys of queries, reminiscences, rants, jokes, nuanced appraisals, praise for colleagues and friends, sarcastic cracks, testimonials to the ideals that guided Mingus’ artistic practice. Listen to the podcast for a snippet from one of the interviews: Mingus Speaks, “machine-gun style,” as Goodman observes, rapid, fluent, sharp. The idea of authenticity ties together much of what Mingus had to say. 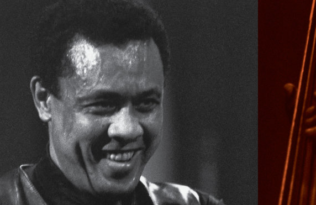 Mingus’ high standards for authentic artistic, professional, even ethical practices shine through these interviews from his first reflections on the skill and study required for true musical mastery. 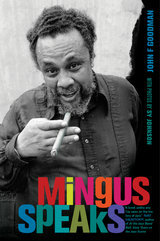 Mingus is celebrated as innovative, even avant-garde, but he was suspicious of the avant-garde label. 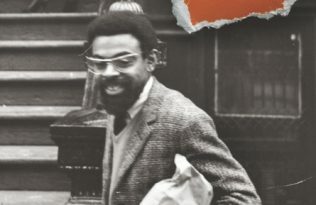 He speaks repeatedly in the interviews of the importance of studying and mastering the traditions and history of music, not just jazz, but Bach, Varèse, masters of the blues, other original musical thinkers rooted in solid technique and deep respect of their traditions. Briskly scornful of improvisational practices that had little to do with coherent form and expressive structure, Mingus doesn’t hesitate to point out which emperors among the free jazz community were wearing no clothes. Mingus is similarly forceful and articulate about race and musical identity, the shady practices of the music industry, the complexities of working with other musicians to create truly collaborative, expressive music. He isn’t abstract, he doesn’t mince words, his emotions inform his intellectual musings and punctuate his words with laughs, rushes of excitement, anger, moody pauses; his words have the same intensity and integrity as his music.